Dr. Heather Rivera is a prolific and versatile author of eight books and counting. She is the focus of today’s interview because she plans to release an inspirational e-book for writers in January 2019. I am proud to have collaborated on this book with Dr. Heather Rivera and Dr. Marjorie Miles of Muse & Ink. Lillian: Heather, thanks for taking time for this interview. Heather: Thank you so much for having me. I’m excited to be featured on “News from Lillian.” You’re very special to me. Not only do I consider you one of my dearest friends, but you are also my trusted editor. I wouldn’t be able to do my writing job without you. Lillian: Muse & Ink: Soul Expressions through Writing is the title of your new book. How did you come up with this title? Heather: The title was easy. I knew it had to be Muse & Ink. Years ago, Dr. Marjorie Miles and I decided to collaborate on some writing projects, workshops, and a writing festival. We came up with the name Muse & Ink at our favorite café. Dr. Miles teaches a “Writing with Your Inner Dream Muse” workshop. We thought the name represented a balance between the two sides of our brain—right and left. Utilizing both sides of the brain makes a good writer—the muse and the ink. Coming up with the subtitle was a little more difficult. I wanted to express how important I believed writing authentically was good for our soul. I found so much healing from writing-especially writing fiction and I wanted to share what I discovered. I also knew that I needed help. I can’t think of two better people to collaborate on this project with me. Thank you, Lillian Nader and Marjorie Miles. Lillian: Please give a brief description of the book. Heather: Muse and Ink: Soul Expressions Through Writing offers tips and exercises for creative self-expression. This book is a collaboration by three authors based on their own experiences as writers. 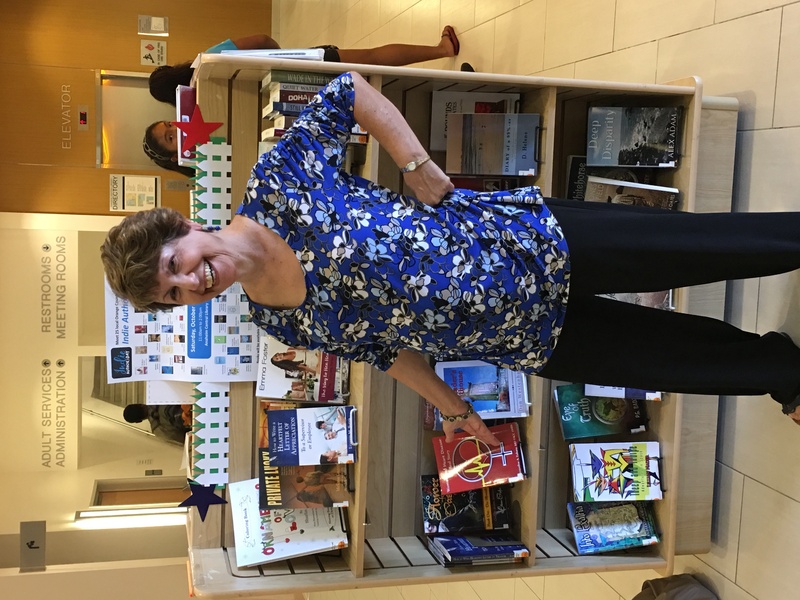 The book also includes editing tips by Lillian Nader author/editor and activities by workshop facilitators, Dr. Marjorie Miles, and Dr. Heather Rivera. Our mission is to help writers find their creative spark, get their message out into the world, and flourish. We honor and encourage voices that may have been suppressed for years to finally emerge by providing a supportive, heart-centered, intuitive, and playful approach to both writing and publishing. Lillian: I know you are a writing coach as well as a published author of nonfiction, fiction, and books for young readers. You have a Life Coaching certificate along with a Creative Writing certificate from Wesleyan University, and you currently facilitate Finding your Voice Workshops in addition to one-to-one consulting with writers. What motivates you to teach other writers in addition to your own creative expression through writing? Heather: I remember what it was like when I was just starting out. I had tons of questions and searched for answers. I love teaching and passing on what I’ve learned brings me joy. I want to see others succeed. Lillian: How has your experience as a writing coach and student affected the content of Muse & Ink: Soul Expressions through writing? Heather: It was my desire to share what I’ve learned over the years from practicing my craft. If I can inspire another writer or help someone discover the joy and healing from creative writing, I’ll be overjoyed. When I teach my writing workshop, I’m amazed at what the students write. I’ve learned a lot from them. By sharing what we write and being receptive listeners, we grow together. Lillian: What else motivated you to write the book? Heather: I think one of the things that makes our book and our workshops unique is the use of guided imagery. Being that we are all trained in hypnotherapy, we were able to present some nice visualizations in the book. When I’m teaching a workshop, I like using guided imagery and having the attendees write from a relaxed state. I believe it helps the writer dig deeper and gives them the space to find their writing voice. Lillian: As a published author and writing coach, who or what has inspired you the most? Heather: I am not sure I can narrow it down to one person or one thing. Many things and people inspire me. I’m inspired by reading books by my favorite authors like Susanna Kearsley and reading books about writing like On Writing: A Memoir of the Craft by Stephen King. I’m inspired by nature and some special people that have touched my life along the way. Lillian: How long have you been writing? Heather: I’ve been writing most of my life. As a child I wrote poetry, then as a young adult I wrote children’s stories. Later, I started writing for magazines and then I progressed to full-length novels. I enjoy writing novels more than any other form of expression. Lillian: You recently relocated from California to Hawaii. Just as the setting can drive the plot of a story, how has your new real-life setting impacted your writing? Heather: It’s quieter here. I think that helps me drop into my story quicker. Also, the scenery is breathtaking so taking a walk is a great way to get unstuck. I do miss the cafes in California, though. Hawaii, I’ve realized, is as good a place as any to sit down and get serious about writing. It’s all about our commitment to the craft. Lillian: I wrote a chapter on dreams for our book in which I cite several well-known stories that originated from dreams. Have you had dreams that inspired any of your books? Heather: It’s funny that you ask. A few of my books were inspired by dreams. The first novel I wrote, Quiet Water, came from a dream. I woke early in the morning with the story “downloaded” into my head. I excitedly told the story to my husband, and he loved it. Over nine months I wrote it. It was a lot of fun. Into Exaltia, Twice Again, and a new novel I’m working on, Chasing Chance, also came from my dreams. I keep my smartphone by my bed to jot down notes if I have a dream that I need to remember. Lillian: You also write a monthly newsletter called Muse and Ink News. What is the best way to sign up for it? Lillian: Speaking of Muse & Ink, the concept started with you and Dr. Miles, and you recently included my editing tips in your publications. Thank you. Please explain the concept of Muse & Ink and its history. Heather: I’m so glad that you’re a member of our merry band of writers. As I mentioned above, it began with Dr. Miles and myself collaborating on a few projects and grew from there. The three of us also participate in a weekly author accountability email. I really appreciate having someone to check in with weekly. You both help keep me on track with my writing projects. Lillian: You seem to have a never-ending supply of ideas for books. What will you be working on next? I like to work on more than one book at a time. My new projects are two novels. One is called Chasing Chance. Chasing Chance is set on the island of Hawaii. The other manuscript is called Following Tai. I like to write stories that contain a little magic and a little romance. Lillian: Do you have anything else you would like to say to your readers? Lillian: Thanks so much for your thoughtful responses to my questions. Heather: Thank you again for having me on “News from Lillian.” It was a lot of fun answering your questions. This entry was posted in Blogs on November 30, 2018 by Lillian Nader. I’ve always had vivid dreams. My mom says I inherited her gift of dreams. Once when I was visiting a married couple, the wife tried to commit suicide with an overdose of drugs. The night she did this, I dreamed that a police officer approached me outside of their home and said, “Ginny is going to be all right.” When I work up, her husband, who was extremely upset, told me what Ginny had done. He seemed utterly helpless and useless in this situation. His anger at her had overtaken his sense of responsibility and rendered him ineffective, whereas people usually looked to him for assistance. Seeing the urgency of the situation, I immediately gave Ginny some very strong coffee and refused to allow her to sit or lie down. I walked with her while telling her I knew she would snap out of this because of my dream. She had faith in me and felt that my dream was an omen that she would, indeed, recover from her suicide attempt, which is exactly what did happen. I believe the dream was given to me because I would remember and act upon it. 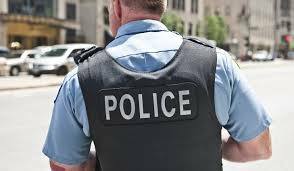 I knew enough about dream symbols to know the policeman represented authority. Therefore, I had it “on authority” that Ginny would be okay. On another occasion, I was employed in a very difficult teaching position at a special education developmental center for severely disabled children. One case in particular was beyond my power to improve, and the student’s mother blamed me for his condition, which was severe brain damage. During summer break, while pondering whether to resign my position or continue working there, I had a significant dream. In my dream, I saw someone’s hand writing on a wall. Although, I couldn’t read the words, I realized the dream was helping me with my decision. I know that dream messages often appear in puns, and this was “the handwriting on the wall,” telling me to move on to another form of employment more suited to my sensitive nature. Another premonition dream was one of someone else dreaming about my car. A friend was supposed to meet me at my church for the first time. The night before we were to meet, she dreamed of a red car and a lady with black hair standing by it, shaking her head no. The next morning, my car wouldn’t start. It had a dead battery. I called my friend to tell her about my car, and she asked if it was red. I said, “Yes, why?” She told me about her dream. The person she described sounded like a dear friend who had passed on. Later, I had a paranormal experience with the same friend who had passed on. I woke up with the sense of her standing at the foot of my bed with a worried look on her face. She was holding some papers and seemed very distressed about them. It startled me to see her standing there, and the dream/vision or whatever it was, ended. Later that day, I was in an automobile accident while driving home from mailing some papers at the local mail station. The papers were an unusually large amount of information requested by a potential dentist. I later decided not to do business with that dentist. 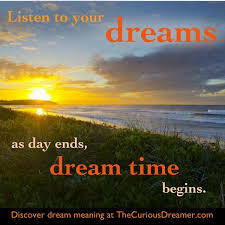 I truly believe that dreams speak to us in puns, metaphors, and myriad symbols as well as feelings from the dream experience. 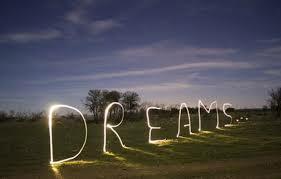 Although I don’t remember all my dreams, the really important messages are usually very vivid and easy to remember. Maybe I did inherit Mother’s gift of dreams. If you have precognitive dreams, please leave a comment and tell me all about it. Lillian Nader, M.Ed. is an author, playwright, copyeditor, and educator. Her book for upper middle grade readers, Theep and Thorpe: Adventures in Space, is available at http://Amazon.com. Even the best writers need a second pair of eyes for editing. Authors usually miss errors because they know what they intend to say, and their brains fill in the details. Use of one word or two? Use all right instead of alright; a lot rather than alot. EXAMPLES: It’s not all right to write alright or alot although people make these errors a lot. Different from versus different than. Different from is better when comparing two things, but different than is used with clauses. EXAMPLES: Your book is different from mine. The movie is different than I thought it would be. This entry was posted in Uncategorized on December 26, 2017 by Lillian Nader. Happy Spring Everyone and happy birthday to all those born in the month of May! One of the challenges of writing this book is dealing with two time periods—the years 2161 and 1910. I have to use my imagination for the future world of 2161, where and when Hazel lives, while striving for accuracy for past events of 1910. I won’t be churning out this book with the speed of light, but I’m excited about the ideas I’ve come up with so far. It’s a WIP—Work in Progress! As many of you know, I work at three different jobs. I am a freelance copyeditor, an Indie Author (independently published author), and a tutor for Professional Tutors of America. 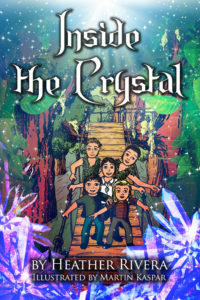 I recently edited the third young readers’ book in the Prism Walker Trilogy by Heather Rivera. In the third book of the Prism Walker series, Sara and Molly wish they could cross realms from Earth to Exaltia to visit their elven friends, but they know from experience the portal only opens if they’re needed for a mission. Imagine their surprise when Thorn and Sael show up in their California neighborhood! 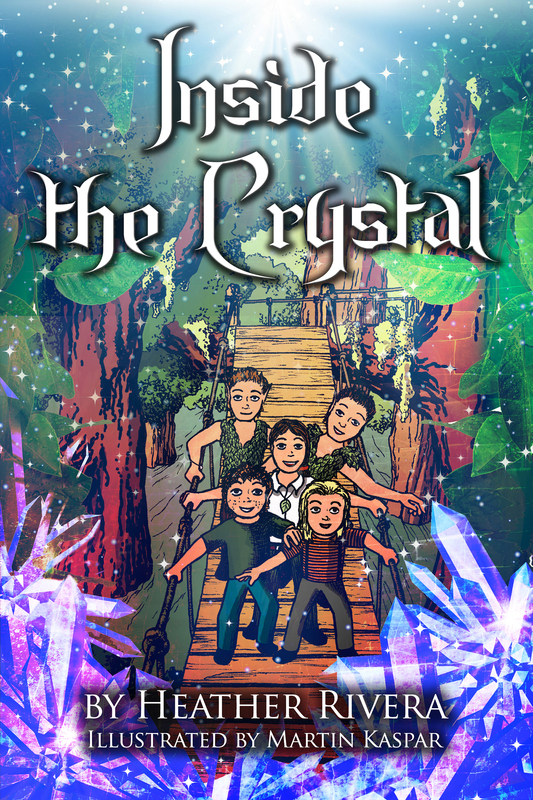 Even more surprising is the mysterious crystal the elves use rather than a prism to cross realms, causing the Prism Walkers to expect all kinds of trouble to follow. Trouble is indeed what happens when the crystal accidentally transports the elves and the Prism Walkers not to Exaltia but to Mandriland, a land unlike anything they have ever seen. 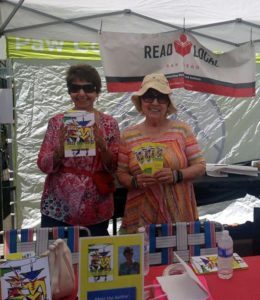 A new book marketing opportunity came with an invitation to participate in the Spring Street Fair in Encinitas on Sunday, April 30th. I signed up for a two hour time slot and had a lot of fun handing out bookmarks and interacting with delightful young readers. Although the traditional school year is winding down, I am tutoring one fifth grade student to the end of June and another fifth grader through the end of September. I enjoy working one-to-one with these young students, which helps them make academic progress and also builds confidence. They think it’s cool that I’m an author. This time last year, I was fortunate to have a book launch hosted by my hometown library in Marshall, Texas. This year on Saturday, May 13, my California hometown library of Yorba Linda is hosting a Read Locally festival for several Orange County authors, including yours truly. I share the event with dear friends, Marjorie Miles, Flora Brown, Lynette M. Smith, and Don Westerhaven along with a few others I look forward to meeting. The main focus is on adult books, but they accepted my application as an author for young readers. If you’re in the neighborhood, do stop by. To hone my writing and book marketing skills, I attend meetings with excellent speakers at SCWA (Southern California Writer’s Association) and PWOC (Publishers and Writers of Orange County) and for fun and inspiration, I attend “Writing with Your Muse” class by the amazing Marjorie Miles. In addition, I’ve enrolled in “The Plotting Workshop” online in hopes of becoming a plotter, but alas, I remain a pantser, just flying by the seat of my pants. I currently have the pleasure of editing an adorable illustrated children’s book by Martha Ramsey: Mazy and Snub. 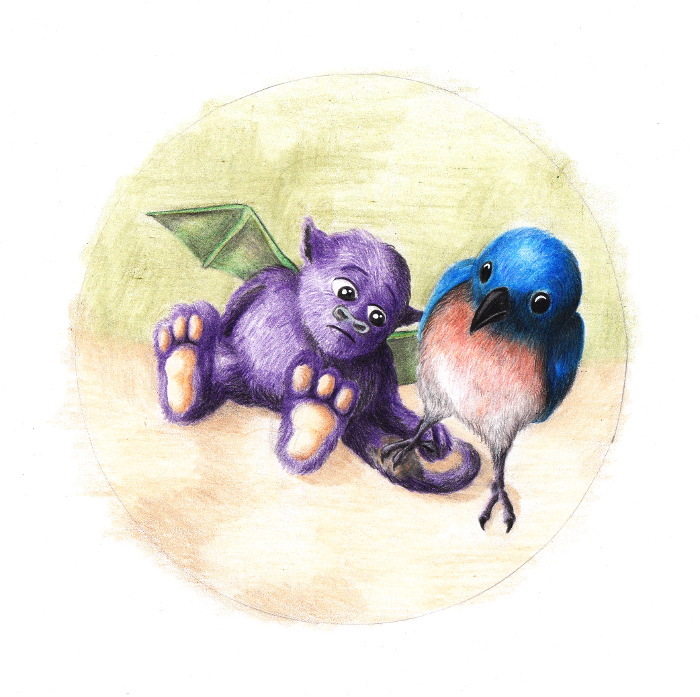 Mazy and Snub are delightful beings of light, traveling unencumbered by bodies, time, space, and gravity until an innocent ride on the arms of the Milky Way spins them into Earth’s atmosphere and changes everything. Both overwhelmed and amazed by their cumbersome bodies, emotions, and pesky gravity, they set out on adventures equally comical and dangerous. Readers of all ages will appreciate the metaphorical conundrums of these delightful and endearing creatures as they evolve into earthlings. Click here to purchase for summer reading! Did you know? Lillian is an editor as well as an author. If you have questions for the editor regarding grammar or punctuation, send me an email and I’ll get back to you as soon as possible. If I don’t know the answer, I’ll look it up for you. It’s better to be corrected privately by your editor than publicly in a review! RULE: Form the possessive singular of nouns by adding ‘s. Follow the above rule regardless of the word’s ending. RULE FOR POSSESSIVE PLURAL NOUNS: If the plural ends in s, just add an apostrophe. If the plural does not end in s, add an apostrophe and an s.
Lillian can be reached here for all your copyediting needs. This entry was posted in Uncategorized on May 5, 2017 by Lillian Nader. What is meant by the popular term, indie author? The term refers to an author who publishes independently rather than going with a traditional publishing house. An indie author is someone who self-publishes or publishes with the aid of an independent publishing company. IngramSpark and CreateSpace are two of several such companies. I went with CreateSpace based on the success of two of my trusted author friends who had pleasant publishing experiences with them. I, too, enjoyed working with CreateSpace, a subsidiary of Amazon. Once my manuscript had undergone numerous revisions and edits by a professional editor, I felt it was ready to publish. I submitted it without having to be accepted by an agent or a publisher. CreateSpace offers several options to fit the publishing needs of different authors. You can either set up the pages, including margins, page numbers, headings, etc. yourself, or use CreateSpace publishing services at an additional cost to help you create a professional look and layout. The site does offer templates for those with the patience and skill to do it themselves. .I chose to have them format the book interior design and connect me with Amazon.com and Print on Demand. They also formatted my book for Kindle. Once I made the decision to pay them a nominal fee for formatting, they provided me with a team and a phone number to use whenever I need assistance. Everyone on my team is extremely courteous, professional, and helpful. Because my book was based on specific artwork by Angelo Divino, he worked with Laura Moyer at The Book Cover Machine and me to create an awesome cover. CreateSpace would have worked with me on a cover, but I chose to go with my own design. Opting for a professionally designed cover is highly recommended in order to create the best possible first impression of your book. 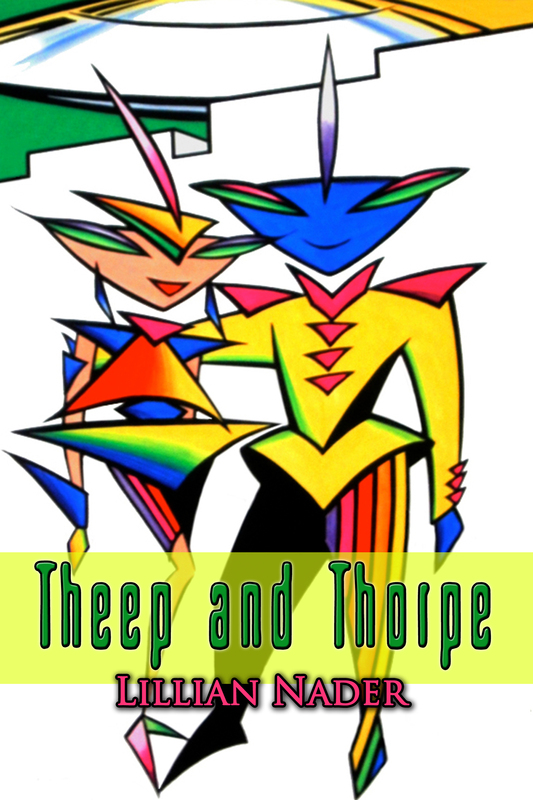 Many people are attracted to the cover of my book, Theep and Thorpe: Adventures in Space, due to the colorful and unusual images of the space beings, Theep and Thorpe. I was able to choose my own prices and in about six weeks, my book was available for purchase online. A few weeks later, the Kindle version was ready and is now sold alongside the paperback version on Amazon.com. The percentage for royalties is also higher than it would be with a traditional publisher. If I had chosen to seek a traditional publisher or agent, it might have taken months or years before my book was available to the public. Nowadays, whether you are an independently published author or not, you are required to have an author platform and followers who might buy your book. While writing my book, I became active on social media via Facebook, Goodreads, LinkedIn, Author Central on CreateSpace, and numerous online groups for writers. I even started my own Facebook group called Writers. (https://www.facebook.com/groups/528070550569025/) These groups provide links to author blogs and informative articles about writing, publishing, and marketing. I am also a member of author organizations such as Publishers and Writers of San Diego and Orange County, Southern California Writers Association, and Independent Book Publishers Association (IBPA). The first two are local groups that provide monthly meetings with speakers of excellent quality for the latest tips on being a successful author, indie or traditional. At one of these meetings, I met a rep from IBPA and decided to join in order to have my book presented to 5,000 school libraries. This was done on September 29, and I am awaiting the results to see which school libraries are interested in placing my book. Speaking of libraries, I received a pleasant surprise when I learned about Indie Author Day, held on October 8 of this year. 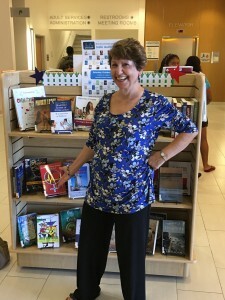 Libraries nationwide hosted unique events featuring indie writing and publishing. I applied and was accepted to participate locally at the Anaheim Central Public Library in Orange County, California. Twenty-five authors were invited to participate in a book fair to sell and sign their books. To be eligible, authors were required to live in Orange County with titles that were self or small press published within the past five years (2011-2016). We donated one copy of each book to be promoted at the Indie Author Day Fair and added to the library’s collection. What a thrill to have Theep and Thorpe: Adventures in Space available for check-out at a local library! In addition, it is on display with twenty-four other local indie authors. At this event, I was given a packet of goodies, which included information about Self-e.com with an opportunity to pursue placing my e-book in public libraries in my state of residence. I am in process of submitting to them. More about this to be revealed as it happen. Meanwhile, I look for more opportunities to offer my book to young readers and adults who are young at heart. As the exciting adventures of an indie author continue, I will keep you posted. This entry was posted in Uncategorized on October 29, 2016 by Lillian Nader. As a reading teacher, I encourage my students to make connections from one aspect of literature to another. For example, a pig in one story may remind me of the pig in Charlotte’s Web. 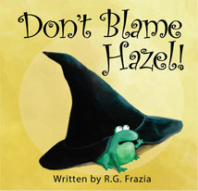 When I read the story by R. G. Frazier, Don’t Blame Hazel, I noticed some similarities and differences to Theep and Thorpe, the story I have written. Don’t Blame Hazel is a children’s picture book while Theep and Thorpe is a sci-fi novel for young readers. One is set in the present time and the other takes place in the future. Both have characters named Hazel, and they both talk about bullies. Bullying is something that may appear in the form of verbal abuse such as name calling and ridicule. This type of bullying is aptly portrayed in the illustrated story book, Don’t Blame Hazel. Hazel likes to dress in a style that reminds the other children of a witch. Instead of being accepted and welcomed as a new student in school, she is picked on by Helga and others. They laugh and make fun of the way she dresses, call her names, and hit her with paper airplanes when the teacher isn’t looking. The truth about the bully, Helga, is revealed after she is transformed into a toad frog. She appeals to Hazel to free her from the witch’s spell. Hazel informs Helga that the spell came from her own fear and insecurity, not from Hazel. Hazel is able to forgive Helga for bullying her, and when she does, Helga changes back into a pretty young girl. Helga and Hazel become friends. Sometimes, it’s easier to make fun of others than to face our own problems. In Theep and Thorpe, Billy is a bully who takes advantage of a young child who can’t defend himself. He tries to take the child’s backpack with his lunch and computer notebook inside. This makes Quan, the young protagonist of the story, so angry that he unwittingly manifests a phazer gun out of thin air to frighten Billy away. Apparently, anger isn’t the best way to deal with bullies because Quan is the one who ends up in trouble with the authorities and is ultimately sent away to Juvenile Court School in outer space. Billy ends up there as well, but he’s sent by a close friend of the school director, Dr. Weir, to work as a barracks guard at the school. When Quan continues to get into scrapes with Billy, Dr. Weir insists that Quan make friends with him. Quan is forced into befriending Billy in order to be released from the solitary confinement he got himself into. At first, Billy is resistant to Quan’s effort to be friendly and converse with him, but after Dr. Weir moves Billy from position of guard to a student at the school, Billy starts to feel accepted by Quan and the students on his team. Being accepted by the other students causes the change in Billy from being a bully to being a valuable part of a team. Hazel is Quan’s friend who also becomes friends with Billy. Both stories have bullies who end up becoming friends with their victims. Most bullies are acting out in inappropriate ways to gain negative attention. I imagine they are lonely and confused. In most cases, they are following a pattern learned from adults and others around them. Many are often neglected and no one has taken the time to teach them more appropriate, positive resolution to their problems. Their unhappiness and poor self-esteem drive them to pick on others rather than to face up to their need for love and affection. In today’s news there are numerous examples of bullying behavior online, in schools, and in cases of family abuse. The sports figure who abused his fiancé and was suspended from his team is one of many examples of bullying behavior in this country. These are patterns that have been condoned, ignored, and pushed under the rug for too long. Finally, public opinion and outrage is calling for change in addressing these issues. Workshops are being held to teach school personnel how to handle bullies in a way to end the negative results such as teen suicide and/or abuse. Books like Don’t Blame Hazel and Theep and Thorpe provide excellent ways to teach children about bullying, friendship, and forgiveness at an early age. In Don’t Blame Hazel, Helga learns that, “being a bully doesn’t make you look good.” In Theep and Thorpe, Billy learns that as a team player, he can use his sports ability and his brain to help solve problems. He no longer needs to pick on anyone smaller or weaker than he is to gain respect and attention. Both books teach that bullies need love too, and becoming friends and allies is a good way to change bullies into productive, nonviolent citizens. Look for the announcement of publication of Theep and Thorpe in my next newsletter! This entry was posted in Blogs on April 11, 2015 by Lillian Nader. Thanks to my friend and writing buddy, Dr. Heather Rivera, I have been nominated for the One Lovely Blog Award. Heather is the author of nonfiction, Healing the Present from the Past, and fiction, Quiet Water, and Maiden Flight. I’ve read and loved them all, and I am pleasantly surprised to be among those nominated for this award. I need to thank the person who nominated me. check! Share 7 things about myself that you still may not know. check! Nominate up to 15 bloggers. check! Notify the nominees that I have done so. check! Put the logo of the award on my blog site. check! I am from Marshall, Texas, the home of Bill Moyers and the Great Debaters of Wiley College. My first year of teaching was the first year of integration in Marshall; I was a ninth grade speech and English teacher. I moved to California in 1981, where I met and collaborated on the musical comedy, Pandora, with Larry Marino. I have entered Pandora in the Fullerton College 26th Annual Festival of Playwrights, and I am waiting until December to find out if selected. Although I have worked with my dreams most of my life, I attended my first dream work group this week, “The Sacred Dreams” meet-up group. I have been lifelong friends with twins named Narcy and Narcissa. I will be reading excerpts from my novel in progress, Theep and Thorpe, at the Writers and Book Festival at SMHAS in Irvine, CA November 1, 2014. Carole Marshall: Author of Reading to Jane, a novel, and Maximum Fitness Minimum Risk, a guide available in e-book or hard copy. I met Carole in the New Best Fiction Author contest. Her site is at http://www.spiritexplored.com. Marilyn Rice: A British author who writes as one of the characters in her novels and she calls herself Lady M. She writes about her appearances at book fairs and other ramblings in the neighborhood and beyond. http://lookaftereachother.blogspot.com/2014/10/chilwell-last-sunday.html?spref=fb. Michele Truhlik: For all you dog lovers: http://angelsbark.wordpress.com A blog about life and dogs. Happy blog reading to all. This entry was posted in Uncategorized on October 10, 2014 by Lillian Nader. All readers are welcome here. I write about writing and my journey as a writer. It all started when I moved to California after an enlightening psychic reading. Once in California, I took a script writing class. While copying my notes in the waiting room at the South Bay Free Clinic in Torrance, I noticed someone watching me. With as much flair as I could muster, I wrote Script Writing at the top of the page. Larry Marino was the gentleman sitting next to me, watching as I wrote. “You’re a writer too,” I said. We shook hands. This was the beginning of what became the collaboration of our musical comedy, Pandora. Larry had some songs and the idea of writing a musical about Pandora, but he wanted someone else to write the book. I researched myths about Pandora, learning that she was created by the gods to be the wife of Epimetheus, the brother of Prometheus. 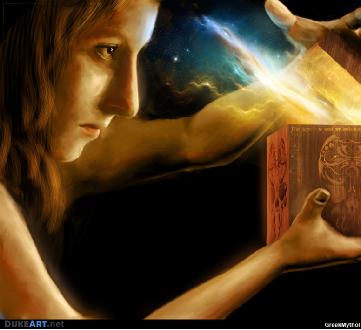 I decided to include the story of Prometheus, the titan who stole fire from the gods and gave it to man. Larry accommodated by writing appropriate songs. In fact, Larry was a joy to work with because whenever I came to a point that needed a song, Larry would write one. He wrote the lyrics and could sing the songs, but Larry didn’t know how to write music. Gene Casey, a friend from my home town, was hired to write the musical score for the songs tape recorded by Larry. We obtained copyright for Pandora with the Library of Congress in 1991. Although Larry has made the transition called death, I am determined to see Pandora alive and well on the theater stage! 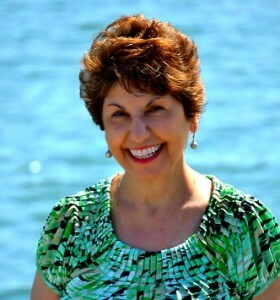 About the author: Lillian Nader, M.Ed. is currently writing a YA science fiction novel entitled Theep and Thorpe. She is the published author of educational workbooks and the librettist of the musical, Pandora. Lillian is a retired teacher who does part time tutoring and freelance copy editing at reasonable rates. She can be reached at Lnader1910@sbcglobal.net. This entry was posted in Uncategorized on August 9, 2014 by Lillian Nader. “It helps if you have someone to talk to; it really helps. I have my husband to talk to. It helps very much if I say to him, ‘I think I’ve painted myself into a corner. Now I have three or four different situations.’ We discuss the solutions, and I pick the one I like best. I don’t think you can write a book completely alone,” says Judy Krantz, author of Scruples. I agree with these two authors, but what of the writers who don’t have spouses, or what if their spouses love them but couldn’t care less about their writing, or what if a supportive spouse is still not enough to answer the technical questions or provide motivation to keep writing? I recommend finding a balance between the solitude it takes to do the writing and ways to meet the human need for social interaction with like-minded people. In my own personal journey as a writer, I have found a number of ways to find support for my creative expression. I live alone, and that helps me find the time to write without interruption. Yet, there are times when I feel the need to interact with other writers. I am fortunate to attend a local writers’ group facilitated by my friend, Dr. Marjorie Miles. A small group of us get together twice a month for free writing activities. We begin with a guided meditation to relax and connect with our Muse or inner voice. The act of writing quickly and without censoring is a lot like therapy for writers. Often, when I feel stuck in my writing, I come to this class for the freedom and joy of self-expression. Many of us attend the group regularly, and we have developed close bonds of love and respect for one another. We never know what we will write and in sharing after writing, find we have written something quite funny, or sad or even profound. One of the main characters in the novel I am writing came to me during one of these free-writing activities. The class is never boring, and I leave it with greater motivation to continue my novel. I highly recommend finding a local writing group near you. Groups may be found in local libraries, book stores or formed from taking creative writing classes. You may be inclined to start your own group of writers who are willing to meet in a positive atmosphere of camaraderie and support. It is wise to choose carefully and stick with people who are serious about writing and not there to criticize and tear people down. Set firm boundaries for a supportive, creative environment which encourages true self-expression and growth for writers. These groups may consist of free writing activities or as reading response groups where you share what you’re writing at home. If in a creative writing class, be alert to others who seem to resonate with you and see about forming your own group outside of class. Last year, I entered The Next Best Fiction Author contest online. This led me to become involved in a closed Face Book group of other contestants who shared thoughts about writing, gave each other constructive feedback about the chapters we entered and shared resources such as editors, online courses, etc. One of the people in this group asked if I had a book cover to post. Huh? I didn’t even know writers were having their book covers done by free-lance artists these days. I’m learning a lot about the business of writing in today’s fast changing technology and media trends by associating with other writers. I also started an open writers’ group on Facebook called Writers, which now has 150 members and growing. We share writing resources, jokes and questions about writing. Many people have had important questions answered by group members who’ve been in similar situations. If you need an opinion or advice about something you are pondering, groups like this can be very helpful. I have a friend in another group who is having problems being accepted as a writer by some of her family members. When she reached out for support from her group, the love and encouragement that resulted was heartwarming and motivating to her. Online writing groups provide excellent resources from other writers all over the world, often based on their own experience of trial and error in writing, publishing and all things related to writing. My weekly writers’ check-in group is another excellent source of support, motivation and inspiration. Each week, two other writers and I set writing goals for the week, and every Thursday one of us sends out an email saying what the goals were and what actually got accomplished, followed by new goals for the next week. The other two writers respond in kind. We also acknowledge these accomplishments, keeping the tone upbeat and supportive. Believe me, there has been more than one Wednesday night of frantic writing on my part just to keep from having to say, “I got nothing done but hope to do better next week.” It also helps keep me on track in thinking of reasonable goals that can be accomplished within a week’s time. I am the slowest of the three, but I don’t feel pressured to keep up or that we are competing with each other. I have been pleasantly surprised and highly motivated by the encouragement received by my writing partners. Recently, I received a referral to a site that published chapters one at a time to help writers build an audience for their books. Unsure if this was the right way for me to go, I checked in with my weekly writing partners and my mentor/teacher, Dr. Marjorie Miles. Each of them responded with the requested candid feedback, and none of them had favorable reactions to the idea. They confirmed my initial feeling that this was not the right opportunity for me. It would have ended up being much like a relationship that isn’t strong to begin with but expecting things to change over time. What a blessing to have trustworthy, caring friends to give me the feedback I needed to make the right decision. These are the bonds of trust and sweet support that are built in ongoing relationships with other writers. This entry was posted in My Guest Posts on July 29, 2014 by Lillian Nader.